Washington has agreed to provide France with airlifts to help move troops and equipment in the country's operation in Mali, an official told Reuters. Meanwhile, a group of US military trainers are expected to arrive in the region by the weekend. ­The decision to boost Washington's contribution to the French-led military operation against Islamist rebels in Mali comes after a formal review of the French request by the Obama administration. The US Military’s plans include starting US Air Force cargo flights on Friday. C-17 and larger C-5 aircraft will likely be used in the operation. The US could also provide aerial refueling for French aircraft, and deploy surveillance drones. However, the timetable and details of the US deployment remain to be finalized, Reuters reported. Chair of the US Joint Chiefs of Staff General Martin Dempsey pointed out that France had not asked for US help in any lethal operations. Earlier, the US Defense Secretary claimed that the United States would only aid the combat mission with logistical support and intelligence-gathering assistance – and that no American troops will be put on the ground. The trainers are not expected to land in Mali itself, and will most likely train troops in neighboring African countries included in the UN-authorized ECOWAS intervention force. The EU has also approved sending a military training mission to Mali during an emergency meeting in Brussels on Thursday. 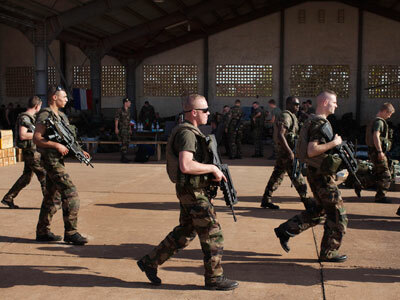 The West African bloc has already sent reinforcements to help Malian and French troops battling the rebels. A contingent of 100 Togolese soldiers was the first to arrive, followed by several hundred Nigerian troops reinforced by war planes. 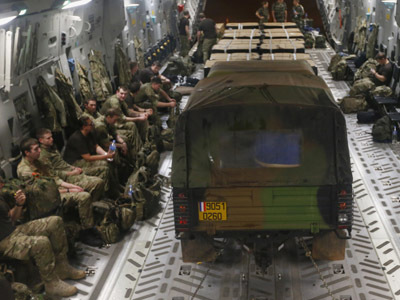 Germany sent two military Transall transport airplanes from the 63rd Luftwaffe squadron to join the mission in Mali. German crews are expected to set up an aerial transport hub in nearby Senegal, and help with logistics for both African and French troops. 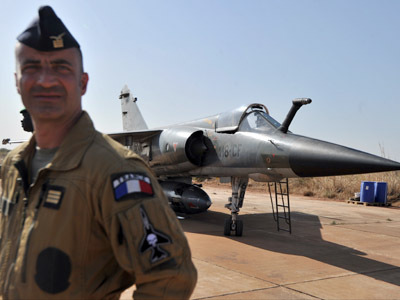 France at the moment has 1,400 troops of the ground in Mali, with 1,100 more – including French Foreign Legionnaires – expected to be deployed over the next few days. As France engages deeper in the Malian conflict, the only officially confirmed casualty among the French contingent is the pilot of a helicopter downed during the first day of Operation Serval. But eventually, the conflict's fallout could cause French President Francois Hollande to be forced out of office, historian Gerald Horne told RT. ­The French intervention in Mali “is going to be a long, drawn out war,” UK-based political analyst Dan Glazebrook told RT. “This is a ground invasion of Africa, and they’re hoping – France, Britain and the US – are hoping to establish a permanent military presence; an occupation of Africa. And this is one way they’re going to be able to do it,” he explained. Glazebrook said the hostage crisis at an Algerian gas plant which was sparked by France’s intervention in Mali is an intended consequence of France’s ground invasion. 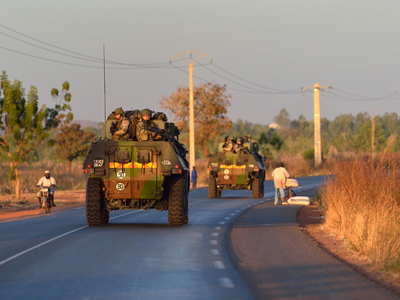 “Spillover is part of the program…the aim of the strategy of intervention in Mali. What happened since the execution of Gaddafi and the destruction of Libya is that the West armed, funded and equipped these death squads effectively in Libya. The flow of weapons and fighters spread then across the region, which was again, playing into the program of the West to destabilize the region, and they ended up in Northern Mali,” Glazebrook argues.